Dan Allen has a Master of Divinity (M.Div.) from Moody Theological Seminary with an emphasis in pastoral ministry. He and his wife, Danica, moved to Milwaukee in 2008 and immediately joined CrossWay. In February 2010 he was installed as an elder and was brought on the staff as a full time pastor. He has a passion to help others grow in their ability to faithfully read and teach God's word. He also loves softball, gardening, and taking care of their family’s bee hive. The Allens have three children, Talitha, Selah and Dupree. Kirk has an M.Div. from Trinity Evangelical Divinity School as well as a B.A. in Pastoral Studies. Kirk began his ministry at Lake Drive Baptist Church (Milwaukee) where he spent eight years as a Youth Leader and Pastoral Intern. 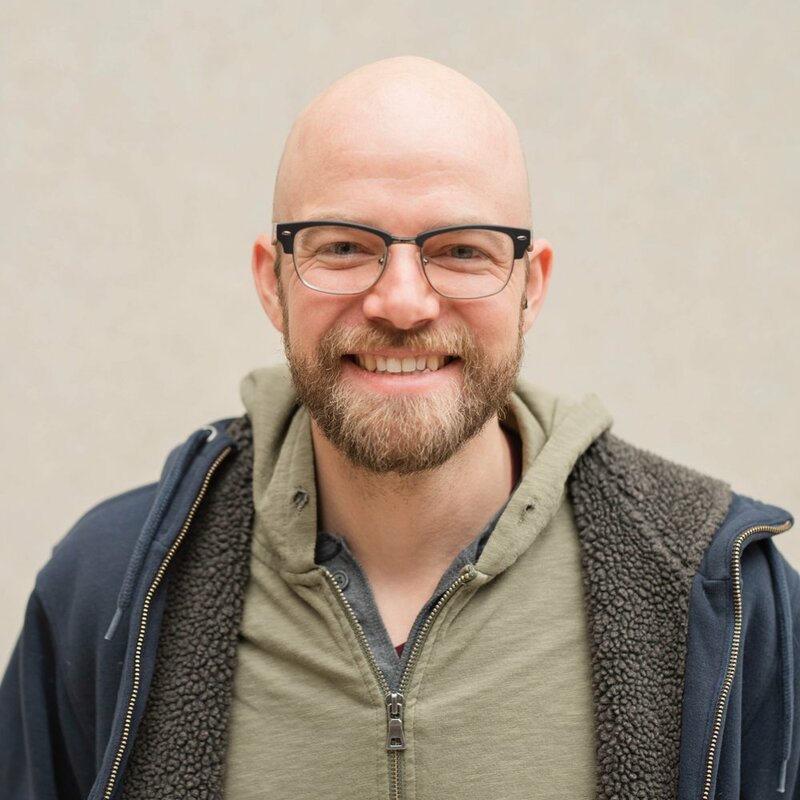 His other previous experience includes planting and pastoring South City Church (Milwaukee), working as a theological reference librarian at Rolfing Memorial Library, and camp ministry at Lake Lundgren Bible Camp. 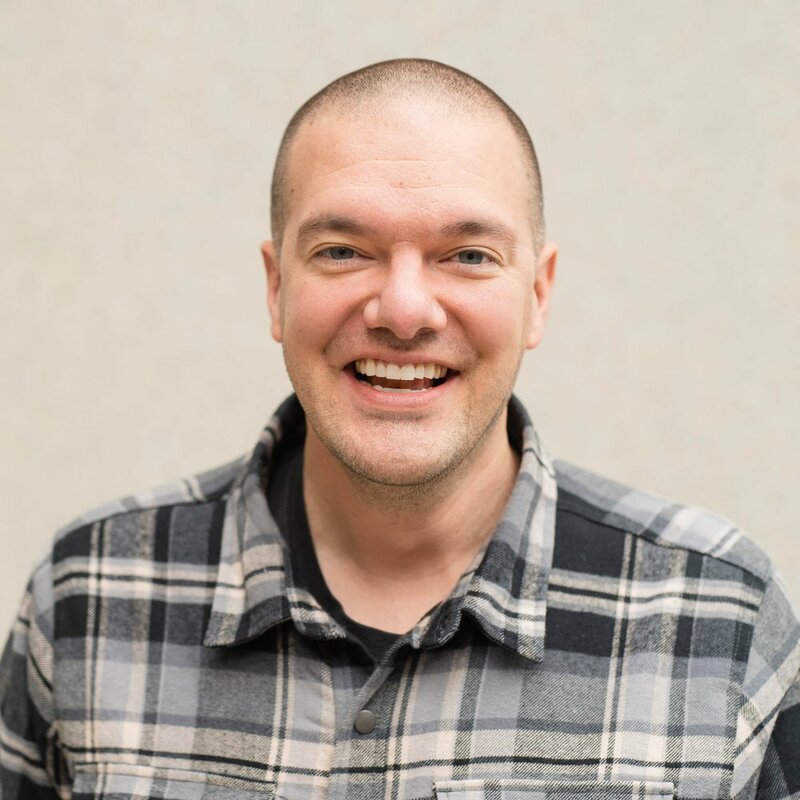 Prior to coming on staff at CrossWay in 2018, Kirk worked in the New Journey program at the Milwaukee Rescue Mission. Kirk is passionate about seeing the church be the church—embodying its identity and living out its mission. Kirk and his wife, Annie, have two daughters, Jubilee and Evangeline. Drew Pond has an M.A. in Biblical Counseling. Prior to joining CrossWay in 2018, Drew served as an elder and co-planter of South City Church. Drew is a coffee enthusiast, and works in upper management for a local coffee company here in Milwaukee. Drew is passionate about seeing Christians live out their faith with authenticity, and wants to help believers wrestle through difficult and sometimes uncomfortable subjects as we seek to give winsome witness to the gospel in unreceptive environments. Drew and his wife, Alicia, are transplants to Milwaukee, originally hailing from Texas. They have two young children, Calvin and Cadence. Emily has been a part of CrossWay since 2011, when she moved from Green Bay to Milwaukee for college. During her college years, God used the people of CrossWay to increase her love for the local church. She grew to appreciate the central role of the church in God’s plan to strengthen believers and reach the lost. Emily now serves CrossWay by overseeing many of the logistics that enable us care for those within the church as well as show hospitality to our newcomers. She and her husband, Kyle, settled in Milwaukee after graduation, and love that they get to call this city ‘home.’ They reside on the south side, where Emily spends her days caring for their young children, Bethany, Cecilia, and Simon. Brent has been a part of Crossway since 2009. One of his first dates with his wife, Courtney, was actually attending a worship service at CrossWay! They were married by the church a year later. Courtney and Brent are both Milwaukee-area natives, who desire to see God's Kingdom spread throughout all of the city they love. They have two young children, Finn and Fiona. Brent's day job is working as a physical therapist. Courtney and her husband, Brent, have been a part of Crossway since 2009. Courtney splits her time working as a nurse at St. Luke's hospital and wrangling their two young kiddos. Courtney serves in the children's ministry and coordinating CrossWay’s CareNetwork. She is passionate about connecting the people of Crossway to opportunities to serve each other and the needs of this world. Charlotte and her husband, Jordan, have been a part of CrossWay since 2010. Charlotte has spent many years teaching in the field of special education. She also currently has a position training other teachers in crisis intervention. Children and education are priorities for Charlotte, and she feels God has led her to areas where she can help live out God’s love for vulnerable populations. Within CrossWay, Charlotte serves as the Children's Ministry Coordinator, supervising the nurseries, preschool and elementary school classes. Outside of CrossWay, she volunteers at CareNet Pregnancy Resource Center, helping with sorting and inventory in their stockroom. Charlotte and Jordan have one son, Ezra. Jordan and his wife, Charlotte, have been a part of CrossWay since 2010. Jordan spends his weekdays fixing forklifts and other industrial equipment in the Milwaukee area. Most evenings and weekends you can find him learning about, troubleshooting, and repairing all the stuff around us that is usually only noticed when it’s not working correctly. Sunday mornings Jordan helps keep the sound and music team working together while trying to keep his toddler, Ezra, from getting into trouble (but it’s mostly Charlotte who keeps Ezra in line). Mike is a native of Milwaukee and grew up on the South side. He has attended CrossWay since early 2011, shortly after he was saved by his Lord, Jesus Christ. Mike is thankful for the love and acceptance shown to him by CrossWay and the way we grow together as a body of believers. He enjoys serving others and being an example of God's love. Mike is employed by the Milwaukee Rescue Mission in Kitchen Support Services. He has three grown daughters. Betsy Stibbe is a wife, mom to three kids, and a part-time bookkeeper when her children are at school. She grew up in Portland, Oregon where she adventured barefoot in the woods and spent many nights sleeping under the stars. As an adult she served as a missionary for Skatechurch doing discipleship, administration, development, and general recklessness with skateboarders. At Crossway, she serves as a deacon and assists with children's ministry, women’s ministry, and wherever else she can be helpful. Picture the friendliest, most outgoing, persistent friend you’ve ever had, and that is Brad Stibbe. He did his undergrad at UW-Oshkosh where he, not only earned a BS, but also heard the Gospel and submitted his life to Jesus. Brad teaches English Language Learners at a local public school. He is a loving husband and a dad to three children. At Crossway he coordinates the men’s ministry, and heads up the church’s reading program and partnership with Zablocki Elementary School.